In the U.S., about 1.6 million people reside in nursing homes. In 2010, 671 licensed nursing homes were located in Florida. The average age at admission for a nursing home resident is 79. Nursing home residents are twice as likely to fall as are their counterparts living in the community. Fatalities due to nursing home falls account for about 20% of deaths among Americans over age 64. Residents who are unable to walk suffer more than a third of nursing home falls. Use of restraints does not decrease the risk of falling among nursing home patients. Rather, research indicates restraints may increase the likelihood of injuries from falls. One of the leading risks to the well-being and health of nursing home residents is the threat of falling. According to the Centers for Disease Control and Prevention, an average 100-bed nursing facility can expect as many as 200 falls to occur each year. About 1,800 of the frail and elderly residents of U.S. nursing homes die from fall-related injuries yearly. Those who survive falls may find that injuries leave them in far worse health than they already experienced. When nursing home residents fall, the Fort Myers and Naples nursing home neglect attorneys at Associates and Bruce L. Scheiner, Attorneys for the Injured, know that they are likely to do so again. In fact, the CDC acknowledges that many nursing home residents fall more than once. “The average is 2.6 falls per person per year,” the agency explains. Our nursing home fall lawyers know that most nursing home residents are weak or need help moving about. If a facility doesn’t provide enough personnel to meet residents’ needs or doesn’t adequately supervise residents, falls can happen. Our nursing home abuse lawyers in Fort Myers, Cape Coral and Naples understand that many factors can cause nursing home residents to fall. CDC research blames problems with walking and muscle weakness for about 24% of nursing home falls, making those the leading causes. Because nursing home residents usually require medications, they may be at risk for dizziness or other side effects that can make them unsteady on their feet. The CDC says that as many as 27% of falls can be attributed to environmental hazards. Those could include such things as wet or slippery floors, inadequate lighting, improper bed height, poorly maintained equipment and other conditions caused by the facility’s carelessness or negligence. When nursing home residents fall – and as many as 75% do so – the injuries they suffer may add to their physical issues. Naples and Fort Myers nursing home fall attorneys at our offices know that CDC estimates indicate that as many as 20% of fall-related injuries are serious ones. Fractures are a common result. Once nursing home residents have been hurt in a fall, the fear that they’ll fall again can become such a concern that it affects their quality of life. Depression and a sense of helplessness can contribute to physical and emotional declines. If you or someone you care about has been hurt in a nursing home fall, you may be entitled to recover compensation if someone else was at fault. 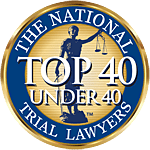 The Naples and Fort Myers nursing home attorneys at Associates and Bruce L. Scheiner, Attorneys for the Injured, have a number of skilled experts we routinely call on for advice and services when investigating injury cases. Along with experienced personal injury attorneys, we work with nurses and other medical professionals, investigators, insurance specialists and others whose perspective is invaluable in helping us build a compelling case for you. Residents of nursing facilities across Southwest Florida deserve the services of concerned attorneys who will treat them with the respect and dignity they deserve. At Associates and Bruce L. Scheiner, Attorneys for the Injured, Mr. Scheiner has set a high standard not only for legal services, but also for a compassionate and sensitive approach in representing those who are especially vulnerable. We are pleased to be a leading choice for families in Fort Myers, Naples, Cape Coral and other communities when concerns for their elderly loved ones turn to fears for their safety. Nursing home falls happen often and the harm they cause can be severe. Call Associates and Bruce L. Scheiner, Attorneys for the Injured, and ask for your free case evaluation. Our nursing home injury lawyers will come to your nursing home if you are unable to come to us. You pay no fees unless we win.